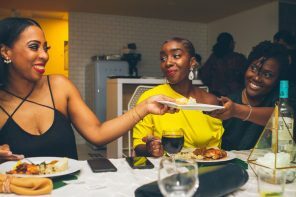 Last week, the Blackfoodie teamed up with Dine Diaspora to cover one of their culturally designed culinary experience which connects African Diasporic leaders and game changers for an unforgettable Pan-African dining experience. 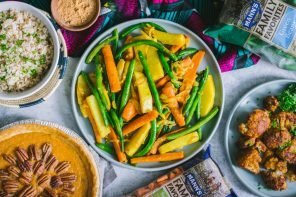 A contemporary lifestyle and events company, Dine Diaspora creates culturally dynamic experiences around food, culture and heritage. 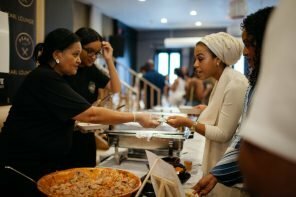 Deviating from the typical D.C. happy hour scene, Dine Diaspora brings together African Diasporic leaders, entrepreneurs, innovators and game changers to develop long-lasting professional and even personal relationships over food and beyond. Dine Diaspora is the innovative brain-child of three powerhouse, African female changemakers in D.C. — Maame Boakye, who serves as Director of Event Production and Talent Management; Nana Ama Afari-Dwamena, who serves as the Director of Digital Communications and Community Engagement; and Nina Oduro, who serves Director of Visual Design and Partnerships. Boakye, Afari-Dwamena and Oduro are leaders in their own rights; each working in prominent positions and capacities, all the while expanding, advancing, advocating and investing in the socio-economic and political territories on the African continent and the Diaspora. The event gathered an array of changemakers from various professional backgrounds, and while dining, guests participated in a roundtable discussion and shared personal experiences and stories. 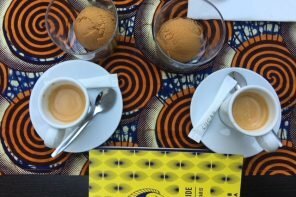 Conversations centered on various topics including favorite foods from childhood; connecting and understanding the African Diaspora; discussing socio-economic and political successes and solutions on the continent and beyond; why there is an intrinsic need for Pan-African unity in all aspects of life and much more. Honourable guest included Bryan Monroe, who is the Verizon Chair and Professor at Temple University’s School of Media and Communication. Prior to his position at Temple University, Monroe was most recently the Washington Editor, Opinion & Commentary at CNN and the editor of CNNPolitics.com. He was as also vice president and editorial director at EBONY and Jet magazines, where he led coverage of the 2008 presidential election, conducted the first post-election interview with President Barack Obama and did the last interview with pop legend Michael Jackson before his death. Past signature dinner guest include the Honorable Olubanke King-Akerele, the Former Minister of Foreign Affairs to Liberia. 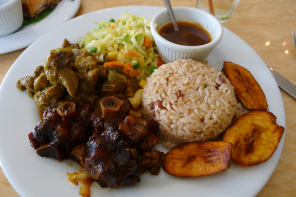 Using the power of African Diasporic content, comradery, cuisine and conversation, Dine Diaspora also highlights prominent Black chefs and their creative culinary creations. 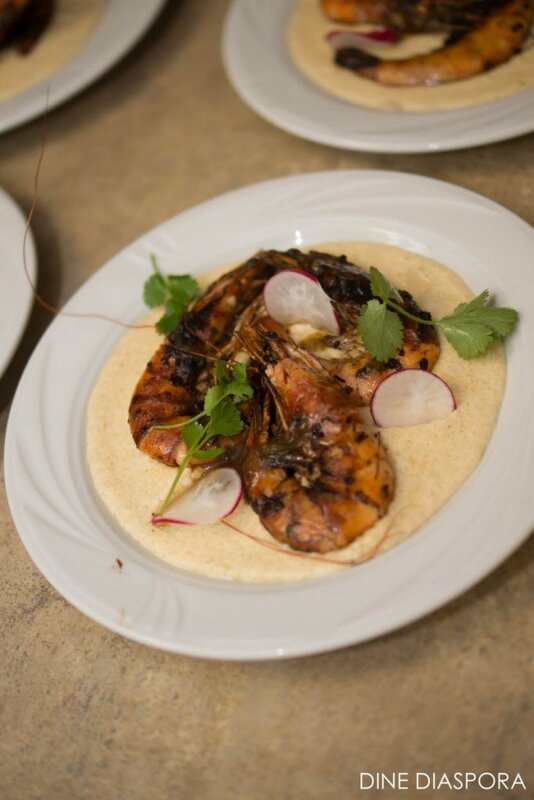 For this unique dining experience, Chef Jonathan Harris served as the keynote and highlighted cook of the evening. 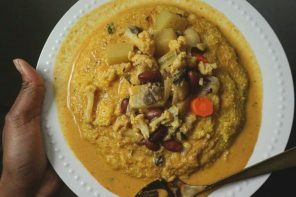 Crafting eccentric and distinctive foods, Harris combines his childhood, family foods with innovative twists that reflect his Costa Rican and Southern American heritage; creating a fusion of eclectic flavors and robust recipes. Born and raised in Long Island, New York, Harris’ interest in food was sparked by his father who is a professional chef and restaurateur, which catalyzed his passion and work ethic for the culinary arts. 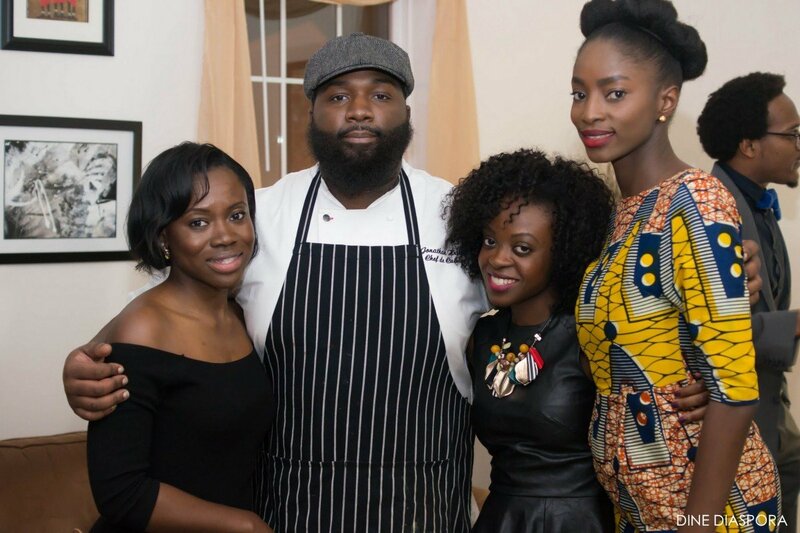 Other past chefs who were featured in the Dine Diaspora experience include Chef Eric Adejepong, Chef Dadisi Olutosin, and culinary cognoscente, Essie Bartels. Dine Diaspora also hosts events such as “Dish and Sip”, a speaker series that features global influencers in diverse sectors. It provides a platform for discussion and insight into the lives, experiences, and impact of global leaders while enriching connections through food, culture, and heritage. The most recent speaker of the series was culinary historian, chef and TED Fellow, Michael Twitty. 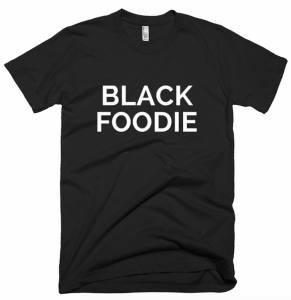 Twitty explored the history of cuisine as an extension of the foodways of Africa in early America with emphasis on cooking techniques, cultural transformations, and flavor principles of Western cuisine influenced by early African American chefs. 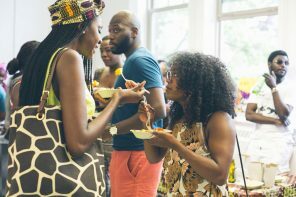 All in all, Dine Diaspora is truly a culturally innovative company and experience that is taking African Diasporic networking to a whole other level, and spotlighting Black chefs — making sure that their revolutionary work does not go unnoticed. 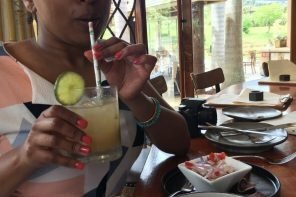 Want more information about Dine Diaspora? 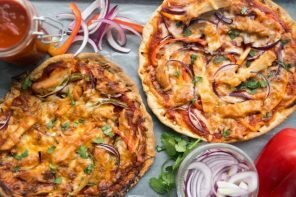 Please visit: dinediaspora.com. Also make sure to follow them on Twitter, Facebook and Instagram for more updates. 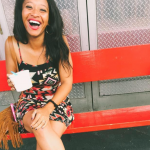 A Philly native currently residing in Washington, D.C., Jaimee Swift is an adventurous foodie at heart. A lover of books, writing, and music, if Swift is not working, she is out enjoying the many restaurants, people and places that the District of Columbia has to offer. 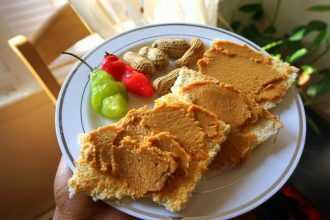 A freelance writer and reporter, Swift is also on the prowl for a great story --- and even greater food. Taylor “The Chef” Shows Us #blackgirlmagic is Possible at Any Age! Next articleDear Momma: 7 Food Blogging Moms that we love!